"Who would follow this guy into battle?" Mark Wahlberg and director Peter Berg have managed to collaborate on some of the outstanding films that have reached varying levels of success over the past few years. Lone Survivor, Deepwater Horizon and Patriot's Day managed to capture the realities of life in historical events that involved straightforward men who were asked to achieve extraordinary tasks in their day to day routines and work. What worked in each of these films was allowing the audience to connect with these everyday men and despite their flaws, cheer them through to the conclusion of these heroic tales. Mile 22 brings together this collaborative team once again with a different task in mind, developing a fictional rough-and-ready team of CIA agents into an action franchise. Wahlberg plays James Silva who heads up a CIA black ops team called Overwatch who work to head off terrorist efforts inside and outside the borders of the United States. Despite the diplomatic efforts of the government, his team goes wherever the threat may be in the world, even if it may involve supposed allies. During an assignment to infiltrate a Russian Federal Security Service safe house in the US, the team manages to extract the necessary intelligence needed but lose a few of their officers in the process as well as killing the inhabitants of the house. Despite the overall success of the raid, the team comes to realise that the source they used for the strike had not given them all they needed to stop the sale of a large quantity of caesium which could kill millions if released in a densely populated area. 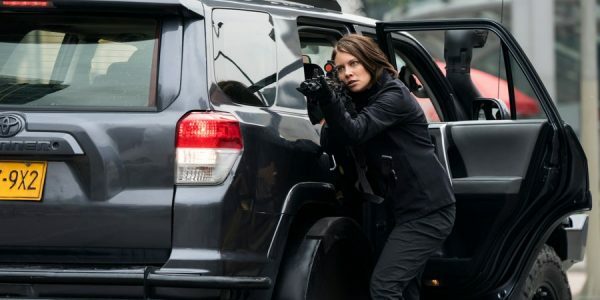 While the team regroups in Indonesia and tries to determine their next steps to discovering the location of the radioactive material, the source that team member Alice Kerr (Lauren Cohan) had contacted before the raid arrives at the US Embassy gates. Li Noor (Iko Uwais) holds a disc that contains the answers to their problems, but the information is locked in a programme that will self-destruct if a code is not entered within eight hours of it being opened. The Indonesian agent has the code, but will only release the information if the US government allows him safe passage out of the country to the land of the free. After extensive negotiations and an assassination attempt on the Asian agent, Silva’s team must traverse a twenty-two mile stretch of the city to get the man with the code to an airport on the outskirts of the city before the information is destroyed on the disc. 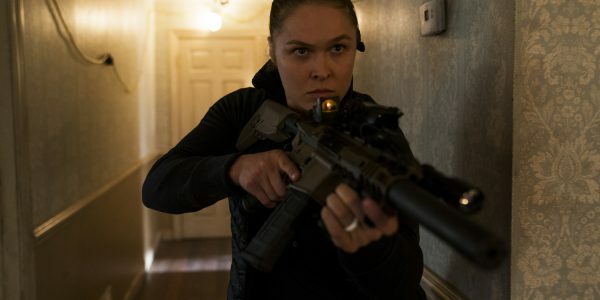 [caption id="attachment_103816" align="aligncenter" width="600"] Ronda Rousey stars as Sam Snow in the STXfilms MILE 22. [/caption] The premise is original and the characters are different from most of the leading intelligence officers portrayed in cinemas over the past few decades, like Ethan Hunt (Mission: Impossible), James Bond or Jason Bourne. Silva and his team are smart, but volatile, which allows the screenwriter Lea Carpenter to show the psychological and emotional toll this work takes on the lives of these officers. This would be fascinating to explore more in-depth, but the caustic manner of Wahlberg’s character makes it difficult to believe anyone would want to follow this sociopathic leader anywhere. For individuals to do this work, it would require a certain amount of mental instability to do what they do on a regular basis, but the intense work environment and nature of the leadership make it impossible to like any of the characters, much less empathise with their personal lives. Keeping in mind that this is an action thriller, the character development of each player is minimal and does not seem to be the main priority of Berg and his team. His goal seems to be to get to the action and try to maintain the intensity throughout the majority of the film. The second and third acts are focussed on the inevitable chase scene across the city and involve more bullets than most of this year's action films, combined. The real travesty of the film that goes beyond the excessive gunplay, is how Iko Uwais (The Raid), one of the world's greatest action stars, would be relegated to wearing handcuffs throughout the majority of the film and to only be included in two fight scenes. [caption id="attachment_103818" align="aligncenter" width="600"] Mark Wahlberg, as Ground Branch officer Jimmy Silva, and Iko Uwais, as Li Noor, star in the STXfilms MILE 22. [/caption] Despite the missteps of the action sequences and the lack of character development, the reason that this film will most likely fail to jump-start a new franchise is that James Silva is the least appealing on-screen characters. Wahlberg’s charisma usually can win over audiences, despite the weaknesses of the script, but this role makes the accomplished actor seem to be working too hard for his supper. This element is layered upon a poorly executed and logic-defying conclusive twist which will cause most audience members to wish for the lead character and the franchise to disappear for good. Mile 22 is an experiment gone bad and a rare misstep in the Berg/Whalberg partnership that should cause them to consider going back to what they do best, action biopics.